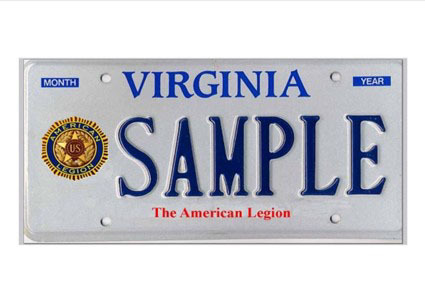 I want to take this opportunity to up-date everyone on the Virginia Legion License Plate Project. A lot has been going on behind the scenes to get our message out to all our members. Communications to the membership is key to a successful result. It is also a challenge to contact those members with the use of a data base, and trying to be cost effective at the same time. A simple mass mailing would be easier to do, but costly, and may be not as effective as one would think. We are attempting to market our program through the use of our District Commanders, Post Commanders, Facebook postings, Department Web Site posting and personal contacts. Recently, emails containing an information page with an “inquiry form” and a picture of the proposed license plate went out to all 17 District Commanders. Then, we obtained 66 email addresses for our Posts, so we sent them the same information to the attention of the Post Commander. In each of the targeted contacts we asked the recipient to share the information with our members. Today I received a new informational brochure for the License Plate Project. We will use the brochures for the Spring Conference and Department Convention this year and for Post visits and other Legion functions. Thanks to Buck Owen for his ability to have the brochure produced! I plan on having a large poster printed for use at the Spring Conference and the Department Convention. The brochures will be available at the poster site. Next – The next thing we have to think about is how to establish a single central point of contact for our information and “inquiry form” so members can; 1. Easily find it and 2. Download the information. Facebook is too random to have a constant image of our information sheet. The information on the Department web page is now in the archives section, so it is sort of hidden until you know what month it was first posted. 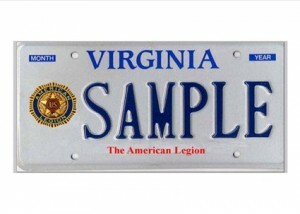 Success to marketing of the license plate requires a “show and tell” process. A picture of the license plate is a seller for sure. Pictures sell. I do not know how the Department web page works; but if possible, maybe we could place a picture of the plate on the front page and link it to the information sheet, or, place the information sheet on that page. The information sheet also contains a picture of the plate. This is where we are right now. As a Department project we value your suggestions and help.